This topic contains 6 replies, has 2 voices, and was last updated by Eric 1 year ago. Is the plugin installed on a an intranet server or the internet server? If intranet, you’ll need to enable the “Enable local PDFTK” option on the plugin’s SETTINGS tab. If internet, was the plugin ever working on the server, if so, what has changed since the plugin worked? It is installed on an Internet server. It’s a dedicated server hosted with Rackspace. The plugin has been working for over a year now so I’m not sure what may have changed recently. I have tried a lot of different troubleshooting methods and no luck. I also just tried to find that setting you mentioned but I don’t see a settings page anywhere. I found the settings tab, enabled local PDFTK and i’m still getting the error unfortunately. Complete this form if it is possible for us to take a look at the installation. 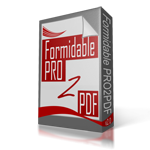 If not possible, try creating a PDF with only one field and a new Formidable Form with one field, then map and test. Let us know if the result is the same of a different message. Hi, I just figured out the issue. After restarting some php services on our server it’s not working as it should. Sorry for the false alarm!